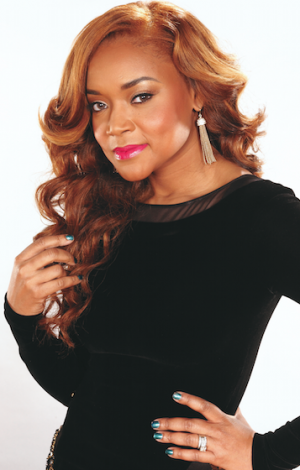 Mariah Huq was born on 12 June 1976, in Chattanooga, Tennessee USA, and is a producer and reality television personality, probably best known for producing the show “Married to Medicine”. She also stars in the show, as well as having various companies under her name. All her efforts have helped put her net worth to where it is now. How rich is Mariah Huq? As of mid-2016, sources estimate a net worth that is at $4 million, mostly earned through success in television and business, in high positions in various companies. Aside from owning a few businesses, she has her own dietary supplement line. As her career continues, it is expected that her wealth will continue to rise. Mariah studied at and graduated from the University of Tennessee in 2003, finishing with a degree in Mass Communication. Prior to engaging in business, she was a host on a local news station, appearing on the six o’clock news. She also had her own show called “Lifestyles and Trends” which inspired her to start a business; her experience in producing comes from working as an associate producer during her time with the station. These started to improve her net worth. After moving to Atlanta, she moved from television into medical sales, working in Pfizer and later LMA Worldwide. Her first television appearance came in “Married to Medicine”, in which it was shown that she is married to Doctor Aydin Huq. Aside from being on the show she is also the producer. “Married to Medicine” follows the lives of six women involved in the medicine industry in Atlanta, whether they are practising it or are married to someone who is. All of the cast members are part of the industry in their own way. Her husband specializes in emergency medicine, while Mariah is the CEO of her own media group called Mariah Media Group. According to sources, Huq earns around $100,000 per season of “Married to Medicine”. Since its inception, it has become one of the most popular reality shows with at least 1.5 million regular viewers. The show has also become a popular topic on social media websites. Recently her endeavors in other things include “Jewel and Jem” which focuses on children’s accessories and clothing. She’s responsible for marketing the product, including introducing it to locations such as Macy’s department stores. Along with her husband, she’s also launched “Cinnamon Girl Diet & Nutrition” that combines medical expertise with a food and supplement line that aims to fight obesity. The products are said to be sold worldwide though they are mostly available in the Middle East and the US. Aside from these things, Mariah also maintains her own blog. For her personal life, it is known that the couple has two children who are being raised in a multicultural home. Aydin Huq is from Bangladesh and the couple met while Mariah was working in medical sales. She also tries to incorporate her husband’s culture by learning about the food and studying the language. She was supposedly going to have twins as her third and fourth children, but miscarried during 2014. 1 On October 22, 2014 it was reported that she is expecting twins (her 3rd & 4th children) with her husband Dr. Aydin Huq, but on November 11th it was reported that she miscarried both babies.